Protecting you and your loved ones is the foundation of financial planning. We are here to advise and arrange the best cover to meet your needs. It makes sense to have a protection plan that will provide you with a tax-free income should you be unable to work due to accident or illness. A regular income will then be paid until you can return to work or the policy ends. It makes sense to have financial security in case you suffer a serious illness. Critical Illness Cover provides a tax-free lump sum paid upon diagnosis of a specified critical illness. Policies generally cover you for between 30 -50 conditions including the main 5 critical illnesses: Heart Attack, Stroke, Coma, Cancer and Multiple Sclerosis. Policies will differ in regards to conditions covered and severity of diagnosis required for a successful claim. You would want a financial cushion so you can take time off work, or change your lifestyle, perhaps spend more time with your loved ones without financial pressures. It makes sense to have financial security for your loved ones if you die. Life insurance provides a tax-free lump sum or income if you die. You want to provide an ongoing income for your loved ones so they can continue to pay the household bills and maintain their lifestyle without financial pressures. Life insurance is the foundation to ensuring your loved ones will be financially secure should the worst happen. But do you find yourself wondering which type of policy is best for your circumstances? Or how much cover you actually need? Comparison websites are great for comparing prices, but they do not advise you which policy is best to meet your needs. They cannot provide you with peace of mind that your loved ones won’t face financial hardship if you died. We specialise in financial planning, and that includes making sure your loved ones are financially secure should the worst happen. Rather than taking a chance, why not speak to us an get impartial advice about which policy best meets your needs. You can have adequate life insurance in place with a personal protection recommendation from a qualified adviser. Get your free quote and consultation today by calling 01943 851080. Suffering a Critical Illness (which includes cancer, heart attack, stroke, etc) can lead to financial hardship. This is because survival rates are improving, but the lifestyle changes can be significant. You may not return to work for a long period of time, if ever at all. While the mortgage/rent, debts and other committed outgoings still have to be paid. Having Critical Illness Cover removes financial pressures by providing you with a cash lump sum to repay the mortgage. A policy can provide an ongoing income to help pay the bills and make alterations to your home. But with so many different policies finding the right one can be confusing. We can help by comparing different policies from a panel of carefully selected providers. This is beneficial to you because you will get cover from a reputable insurer with a good claims record. Our advice can ensure you have adequate cover and the right type of policy. As a result you can focus on treatment without the financial concerns. Book your free consultation by calling 01943 851080. Would you be able to survive on benefits from the Government if you couldn’t work due to illness? How long would your employer continue to pay you? If you would struggle financially then Income Protection Insurance could help you. 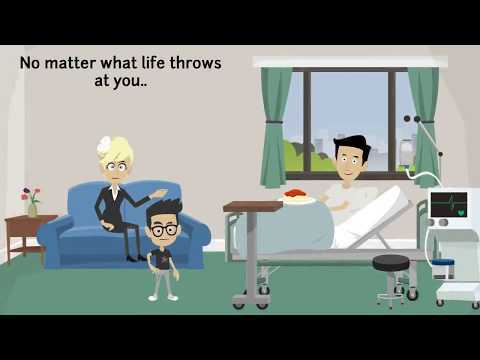 Income Protection Insurance is different to Critical Illness Cover. This is because Income Protection Insurance is linked to your ability to work, rather than a diagnosis of a serious illness. When you are well enough to return to work your policy will stop paying out. We can help by comparing different policies from a panel of carefully selected providers. We can explain the different policy features available to you, and recommend suitable cover based on your circumstances and needs. Speak to a specialist adviser and book your free consultation by calling 01943 851080.